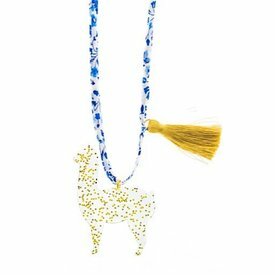 A necklace designed by a kid, for kids! 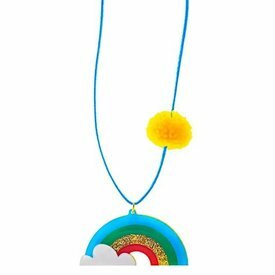 Six year old Riley and her dad John create pieces that are the perfect combination of fun and style for the littlest fashionistas in your life. 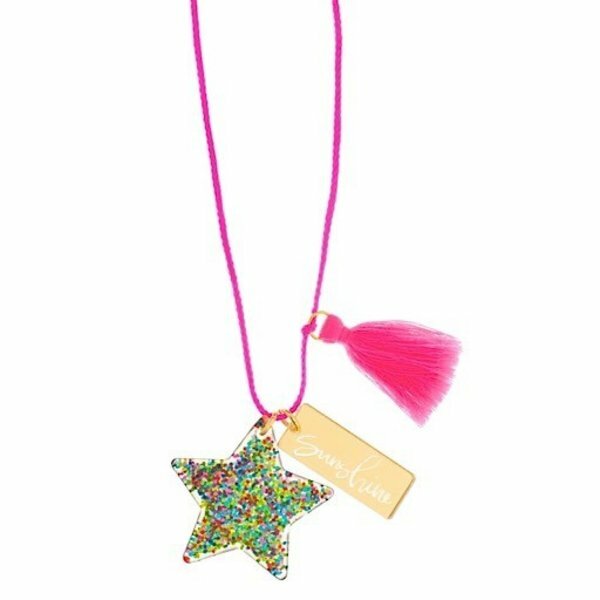 This necklace features sparkly star and charm that says ‘Sunshine’! 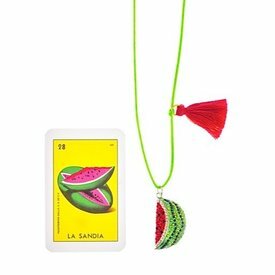 The bright pink cord and tassel makes this one happy necklace. 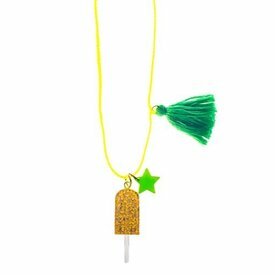 This item is not a toy and is not intended for children under 3 years of age. Measures 15 inches long.